Mr. Barrett has 29 years of experience as a corporate restructuring lawyer, guiding companies and their constituents through financially challenging situations, including out-of-court workouts, bankruptcy cases, assignments for the benefit of creditors, and receiverships. 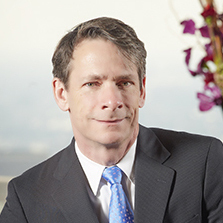 Mr. Barrett has represented unsecured creditors and secured lenders in middle market chapter 11 cases, including negotiating cash collateral and DIP financing orders, litigating conversion and dismissal motions, objecting to chapter 11 plans (as well as negotiating consensual resolutions of chapter 11 plans), and successfully litigating automatic stay relief through trial. On behalf of unsecured creditors, Mr. Barrett has filed and litigated numerous involuntary bankruptcy petitions and has contested petitions on behalf of debtors. He also has substantial mega-case experience, including post-confirmation representation of Kmart and representation of the Creditors Committee of Comdisco. Most recently, Mr. Barrett has concentrated on the representation of lenders and landlords in commercial real estate cases.